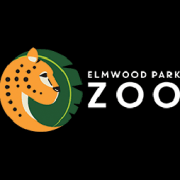 The Elmwood Park Zoo's Animal Care Department is looking for highly motivated individuals who will perform duties associated with the husbandry and maintenance of exotic animals in an education and conservation-oriented zoological park. Interns will be paired with full time keeper staff that will mentor them during their internship. They may be involved in assisting in conservation and enrichment projects.